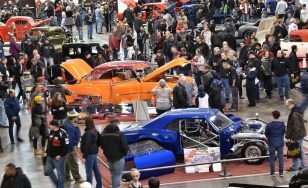 Be part of the 4th Annual Motorama Custom Car & Motorsports Expo! Sunday is your last chance to experience Motorama 2019! It’s showtime at the Motorama Custom Car & Motorsports Expo! 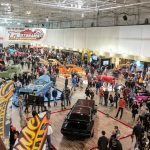 The fourth annual Motorama Custom Car & Motorsports Expo Presented by Mothers takes place March 9, 10 & 11, 2018 at The International Centre across from Toronto’s Pearson Airport. 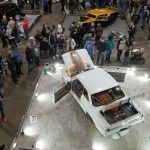 Filling more than 300,000 square feet, the show is the biggest of its kind in Canada, featuring incredible custom cars, hot rods, classics, rat rods, tuners & imports, exotics and racing vehicles from across the spectrum of Canadian motorsports. 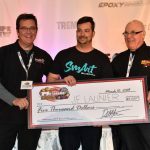 Additionally, the show includes a great assortment of automotive and racing celebrities, announcements, awards presentations, themed panel discussions, club displays, tracks, series and much more. The show is just over a month away and the floorplan is filling up! Whether you’re a past exhibitor who hasn’t yet filed your paperwork, or you’re interested in becoming an exhibitor, there are forms and information here. If you believe your business could benefit from being exposed to more than 30,000 enthusiastic and motivated car and racing fans at a time when they’re making decisions about the upcoming season, please call us at (416) 962-7223 or email info@motoramashow.com. We also have a full range of show sponsorship opportunities available that can put your company’s name and products front-and-centre, before, during and after Motorama. Check out the Media & Sponsorship Kit to see which one is right for you. We’ll also craft a custom package to meet your specific needs. And as always, we’re looking to fill the halls with an incredible assortment of vehicles. If you would like to apply to have your car or club on display at Canada’s biggest indoor automotive and racing show, please click here to begin the application process. 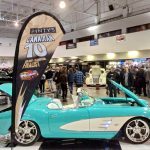 Copyright © 2019 Motorama Custom Car & Motorsports Expo - Canada's biggest... is getting bigger!